Anna George, 85, of Aliquippa, passed away on Sunday, November 25, 2018. 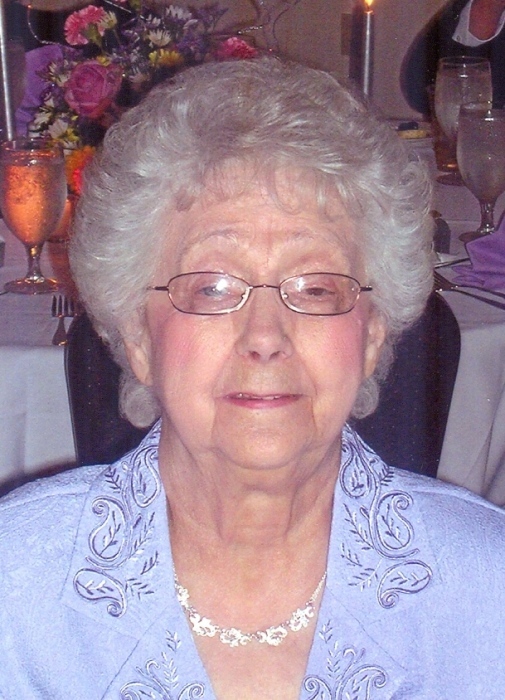 She was born on July 4, 1933 in West Aliquippa, a daughter of the late George and Anna (Kovach) Hostovichak. She was a member of St. George Byzantine Catholic Church where she was also a member of the Ladies Guild. She was member of St. Titus Catholic Daughters of America. She was involved for many years in little league working the concession stand and she also volunteered as a den mother. Anna also enjoyed volunteering at St. George’s during pierogi sales, and she was an election poll worker for more than 50 years. In addition to her parents, Anna was preceded in death by her husband, John A. George, Jr.; two brothers, George Hostovichak; and John Hostovichak; and three sisters, Mary Ault; Elizabeth Paulin; and Irene Hostovichak. Anna is survived by four children, Kathryn Jezewski and her husband Michael; John Carl George and his wife Janet; Elizabeth Jordan and her husband Clark; and Deborah George (Paul Branchettti); eight grandchildren, Dan (Aubrey) Kovolenko; Kevin (Brigid) Kovolenko; Felicia (Dustin) Dowling; Julianne (Matt) Hillson; Jarred (Samantha) George; Jessica Jordan; Aaron Jordan; and Jason (Christy) George; eight great grandchildren, Liam Dowling; Vera Kovolenko; Violet Kovolenko ;Taylor Jo George;Luke George; John and Joshua George; and Harper Hillson. The family would like to thank her guardian angel, Kathy DiCicco; and her special friends, Butch; Judy; and Rob Dzumba. Friends will be received on Friday from 2-4pm and 6-8pm in Darroch Cremation and Funeral Tributes, Inc., 2640 Mill Street, Aliquippa www.darrochfuneralhome.com where Panachida will take place on Saturday at 10am followed by a Funeral Divine Liturgy at 10:30am in St George Byzantine Catholic Church.